A global leader in online gaming software, Microgaming, just announced the release of two more games this November. The supplier is adding to its recently released online slot; Phantom of the Opera™. But, that is not all. The great news is that one of the two games – set to premiere later this month – is inspired by the African meadowlands. Microgaming has proudly publicised the release of its two new games; King Tusk and Lucky Links. The exclusive online slots promise awesome features that will be very exciting and rewarding to online gamers. 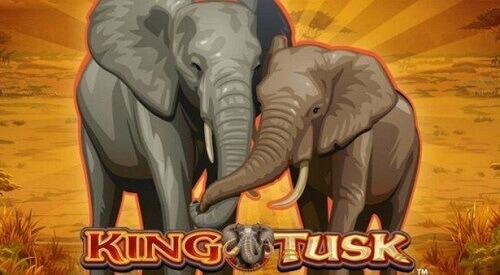 King Tusk is a safari-themed online slot which Microgaming says was inspired by “the beautiful plains of Africa”. The five-reel online slot consisting of 25 paylines, promises to take players on a wild African adventure. Microgaming says online punters will be virtually transported to big rewards by stunning royal elephants and exciting wild features on King Tusk. There are 10 free spins up for grabs of which players can choose to utilize on three different features namely the: Dance, Stampede and Gone Wild. Online punters also stand a chance to win up to 62k credits of which they can use to stampede to other big rewards on the game. King Tusk will debut on Microgaming casinos on Wednesday, 22 November 2017. Lucky Links is a five-reel, 20 payline online slot set for release tomorrow, 15 November. The game was created by game developer, Just For The Win, and is exclusive to Microgaming and Quickfire. The game design for Lucky Links is as vibrant as real slot machines found in land-based casinos. It has all the exciting bling, good music and bright lights. Also, the winning potential in Lucky Links is relatively high. The game has exclusive features, including re-spins. Microgaming is an award-winning supplier of online gaming software based in the Isle of Man, UK. The company’s products include Casino, Poker, Bingo, Live-dealer and Sportsbook to name a few. Microgaming owns 850 casino games with over 1200 variants.